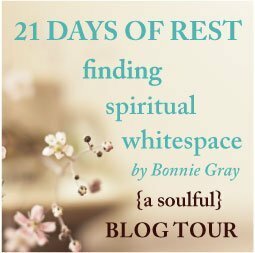 After a couple of weeks off, I'm again joining up with Bonnie Gray at Faith Barista for Whitespace Thursday. Lately even my quiet times have been filled with turmoil. We've had some stress, which is largely resolved now. Usually I can trust God with my circumstances. I know He is in control and I can rest in that. Yesterday was an especially rough day. I tried everything that has ever helped open up the dark clouds. I prayed, I read psalms, I read fiction, I rested, I listened to good music. None of that helped. Finally, when it was time to start making dinner, I asked my son to stream some good music. He found a station that played mostly worship music. Singing along with the music and keeping my focus on the Lord, I felt the waves diminish. They didn't completely go away, but the improvement was dramatic. God is so merciful. and meditate on all your mighty deeds." What a beautiful example of relying on what we know rather than what we feel. Emotions are not trustworthy, especially when they shift with the direction of the wind. I know this, even though my brain chemistry or whatever is telling me that something is terribly wrong. Reminding myself that circumstances are fine doesn't help. Reminding myself that Jesus is walking alongside me ... well, it doesn't always help when I can't sense His presence at all. I have no peace. I feel battered. Sometimes it requires asking the people closest to me for help. My husband holds me and comforts me. Two other friends pray for me and with me. They remind me of the Truth: God promised always to be with us. That's true whether I feel it or not. I still don't feel it. I still don't have peace. But I can trust in knowing that God is here, He is in control, and I have friends to remind me of that when I start to slip. You're so wise to have a tool box of things you can pull from when you feel your depression sinking in. I have to remind myself often too that my feelings are not trustworthy, that they are not who I am--I go much deeper than my emotions, and my emotions aren't always accurately indicating anything. Praying the cloud will continue to lift. But until then, that you'll keep trusting God anyway. Thanks for sharing. Depression can be so tough. Sometimes even God's promises seem to mock us. But God is so faithful. I'm so glad He lifted the gloom. Yes, God promises to be with us even when we can't feel it. It's hard though, isn't it? That ship shows the struggle so accurately. Praying God will keep calming those waves and speak peace to your heart, Melissa. Hugs! Just remember that God has plans for you.. We might not know what is going on and why... but He does.